Geographical distribution Gurgaon, Noida, Bangalore, Hyderabad, Pune, Chennai, New Delhi, Mumbai and other cities. Indian Telecom Industry started in 1851 when the first operational land lines were laid by the government near Calcutta (seat of British power). In 1881 the Telephone services were introduced in India and telephone services were merged with the postal system in 1883. In 1923 the Indian Radio Telegraph Company (IRT) was formed. In 1947 after the independence, all the foreign telecommunication companies were nationalized to form the Posts, Telephone and Telegraph (PTT), a monopoly run by the government's Ministry of Communications. 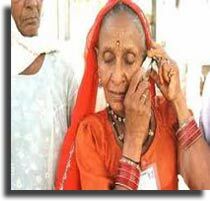 The Indian Telecom Industry was considered as a strategic service and best to bring under state's control. In 1980 when the private sector was allowed in telecommunications equipment manufacturing the first wind of reforms in telecommunications sector began to flow. Department of Telecommunications (DOT) was established which was an exclusive provider of domestic and long-distance service that would be its own regulator (separate from the postal system). Government has two wholly owned companies which were created as: the Videsh Sanchar Nigam Limited (VSNL) for international telecommunications and Mahanagar Telephone Nigam Limited (MTNL) for service in metropolitan areas in 1986. In 1990's the opening up of economy led to the benefits of telecom Industry. In 1994 the National Telecom Policy (NTP) was formulated which was the first attempt to give a comprehensive roadmap for the Indian telecommunications sector. Telecom Regulatory Authority of India (TRAI) was created in 1997. It was formed to act as a regulator to facilitate the growth of the telecom sector. 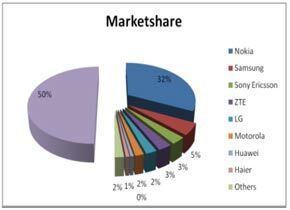 Indian Telecom Industry can be divided into two segments: Fixed Service Provider (FSPs), and Cellular Services. The Indian Fixed line services consist of basic services, national or domestic long distance and international long distance services. The state operators (BSNL and MTNL), account for almost 90 % of revenues from basic services. In selective urban areas the Private sector services are presently available which collectively account for less than 5 % of subscriptions. However, private services focus on the business/corporate sector, and offer reliable, high- end services, such as leased lines, ISDN, closed user group and videoconferencing. Indian Telecom Industry is the fastest growing and 5th largest in the world at 110.01 million connections. The subscriber base has grown by 40% in 2005 and has reached the expectations of 250 million in 2007. Over the years, two out of every three new telephone connections are wireless. Consequently, wireless now accounts for 54.6% of the total telephone subscriber base, as compared to only 40% in 2003. Wireless subscriber has grown to 2.5 million new subscribers every month from 2007. The wireless subscriber base skyrocketed from 33.69 million in 2004 to 62.57 million in 2005. The wireless technologies currently in use in theIndian Telecom Industry is Global System for Mobile Communications (GSM) and Code Division Multiple Access (CDMA). The industry presently has 9 GSM and 5 CDMA operators providing mobile services in 19 telecommunication circles and 4 metro cities, covering more than 2000 towns across the country and the connectivity numbers are still growing for Indian Telecom Industry. Telecom Industry in India is regulated by the Telecom Regulatory Authority of India (TRAI). It has been able to earn a good reputation for its transparency and competence. Telecom Industry community has three types of players. State owned companies like - BSNL and MTNL. Privately owned Indian companies like - Reliance Infocomm and Tata Teleservices. Companies like - Hutchison-Essar, BPL Mobile, Bharti Tele-Ventures, Idea Cellular, Escotel Spice Communications, etc were done with foreign investments. The Indian Telecom industry has been playing an important role in the world economy and global revenues in 2008 were USD 4 trillion, expected to grow at a steep 11% p.a. CAGR over the next 2 years. By 2013 almost half (~USD 1.7 trillion) of telecom revenues accrue from service revenue. Analysts believe that the revenue is expected to grow significantly to ~USD 2.7 trillion. Today 20% of the world population has access to the Internet. The telecom industry is vast and offers a wide range of career opportunities on both the hardware and software fronts. Opportunities in mobile telephony, internet protocol media systems, wireless communications, GSM, GPRS and CDMA technology, VoIP, data networks and optical networks are amongst the others. The Indian Telecom had only 54.6 million telephone subscribers in 2003, the number increased to 429.7 million at the end of March 2009 and further to 562 million as on October 31, 2009 showing addition of 2.49 million during the period from March to December 2009.The increase is entirely due to the spectacular increase in wireless connections at a compound annual growth rate (CAGR) of 60 % per annum since 2004. Presently India has one of the lowest tariffs in the world and is the fastest growing teIecom markets in the world. Indian telecom has become the second largest wireless network in the world with 525.1 million wireless connections. With supportive policies, broadband subscribers grew from 0.2 million in 2005 to 6.2 million by end-April 2009 and about to 7.98 million by end-December 2009. As economic growth of India continues to be stable, 8% as the Indian customers continue to hold the currently under-penetrated mobile technology, as the regulatory policy continues to favor investment in the sector. India's telecom service revenue was ~USD 30 billion in 2008, and Ernst and Young analysts believe it is projected to almost double to ~USD 55 billion by 2012, thereby contributing over 6% to the GDP. The Indian Telecom industry is on the path of continuously increasing its productivity levels. As an Economic Times survey taken for 200 companies (arranged in terms of value of output) finds that the incremental capital output ratio (ICOR), that measures the output generating capacity of incremental capital, has improved from 0.62 in 2005-06 to 0.59 in 2006-07. The Indian Telecom Industry manufacturing contributes about two-thirds of the total exports of the country. It has been estimated that manufacturing exports would increase from US$ 40 billion in 2002 to US$ 300 billion in 2015, simultaneously increasing its share in world manufacturing trade from 0.8 % to 3.5 %. Several areer paths lead to the Indian Telecom Industry. The telecom sector offers a variety of career options where there is room for everyone a degree holder or a diploma holder, a candidate with a part-time certification course or one with a full-time degree. Certificate in Management Information Systems. Minimum eligibility criteria is Physics, Math and chemistry Or Vocational course passed with minimum makrs from a recognized institution. FDI of 74% is allowed subject to license granted by Department Of Telecommunication In Basic, Cellular, Paging and Value Added Service and Global Mobile Personal Communications by Satellite. FDI up to 100% is allowed for dark fibre, electronic and voice mail. The condition set was that these companies would divest 26% of their equity in favor of Indian companies in five years, provided they were listed in other parts of the world. FDI of 100% was allowed in telecom manufacturing. The new trend in the Indian Telecom Industry is the 3G or Third Generation technology which is a convergence of various Second Generation telecommunication systems. The technology is intended for Smartphones - multimedia cell phones which consists of Video broadcasting and other e-commerce services such as, stock transactions and e-learning which will now be made possible much faster. It offers 3 Mbps speed for downloading, which is very high as compared to that of the 2G technology. 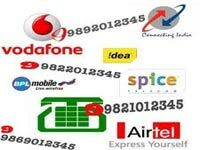 Mobile Number Portability is the service which allows any subscriber to change his service provider without changing his mobile phone number. The announcement of the guidelines has made telecom service providers to improve the quality of service to avoid losing subscribers. Value added Services (VASs): Mobile VASs include text or SMS, menu-based services, downloading of music or ring tones, mobile TV, videos, streaming, and sophisticated m-commerce applications. In R&D the favorable factors such as facilitative policies, large talent pool and low labour cost can provide an impetus to the telecom manufacturing industry in the country. Exports increased from US$ 88.61 million in 2002-03 to US$ 2.42 billion in 2008-09 accounting for 21 % of the equipment produced in the country.